Vicky has a musical query. She writes “I want to know what to do with old cds – any ideas for recycling? Suncatchers look amazing in windows, on a balcony, or just hanging in your garden. Find a simple tutorial here. Victoria, Linda and Liz share similar thoughts. These fishy creations not only look funky but they act as bird scarers too! Want to make your own? Follow Liz’s tutorial here. 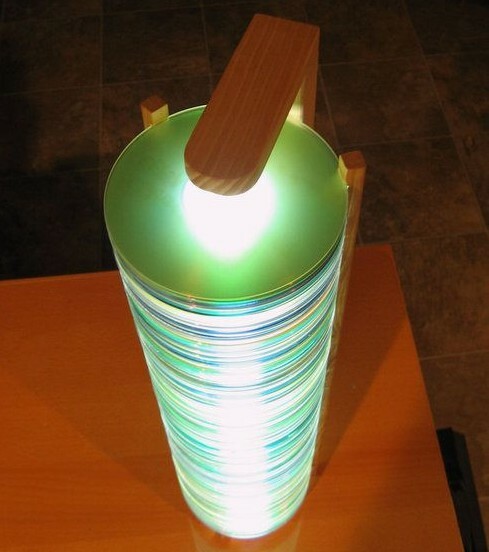 He also found this lamp which I think looks amazing! Suella shared “I have seen CD’s briefly heated in the oven to make twisted necklace and costume elements for children or adults for Halloween. Enough of them overlap to look like fish scales, and could be use for rubbing plates for a large art piece or hanging. Covered with fabric both sides and stitched around the disc shape, they can give detail and structure to something artistic. They cut into segments with kitchen scissors. I understand they colour with alcohol inks. You’ll find lots and lots of ideas online. Gabby found a tutorial over on the “Me and my diy” site for a mosaic bird bath; so the CDs become a ‘free’ and ‘green’ Mother of Pearl substitute. Although Петя was concerned the light effects might scare the birds away! Victoria added a p.s. to her suggestion to avoid wasting the jewel cases too: “my mother-in-law has hung old cd cases on the wall and put family photos in them”. I wasn’t entirely sure what she meant, but Google threw me THIS magnificent creation! Not into arts and crafts? Well according to Richard on Twitter, you can recycle old cds! Jay agreed. She discovered the material from cds is worth £1/kg when shredded and shared a link to Disc Recycling. You do have to pay to get them shipped there, but I know some people are willing to put their money where their mouth is, in order to ‘do the right thing’. 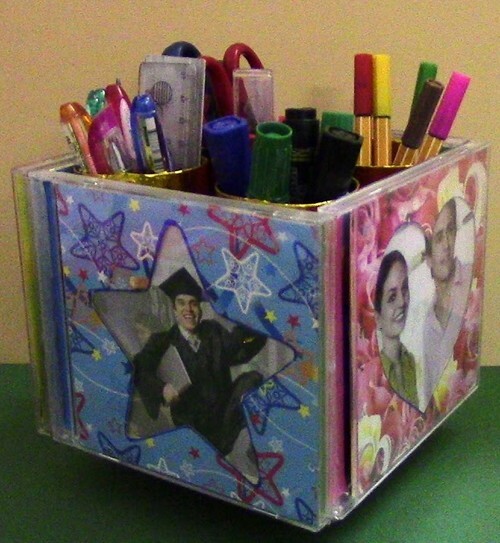 What about you – how do you reuse or recycle your old cds? I love the mosaic tiles and the greenhouse, just beautiful! A few years ago I was in a wedding and we used a bunch of the bride’s unwanted CDs as invitations for the shower…we just recovered them with custom labels of the bride and groom with shower information. Unfortunately, the labels we used weren’t eco-friendly, and neither was the printing process- I like these ideas much better! 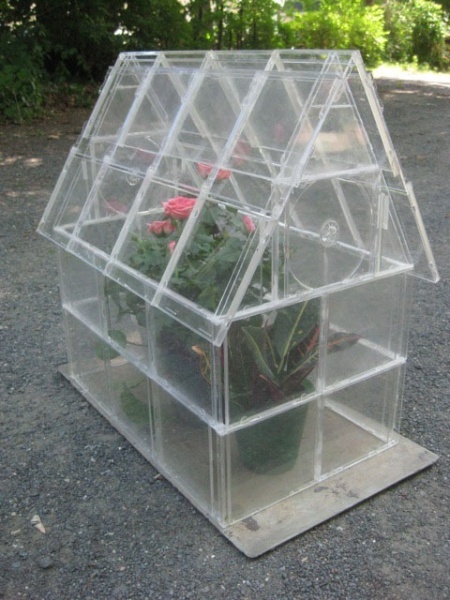 Thanks for commenting Ariana; the greenhouse is amazing isn’t it? I’d love to build one of these. I do love your idea of invitations; that so outside the box and inspirational! I give them to schools for projects kids can do.